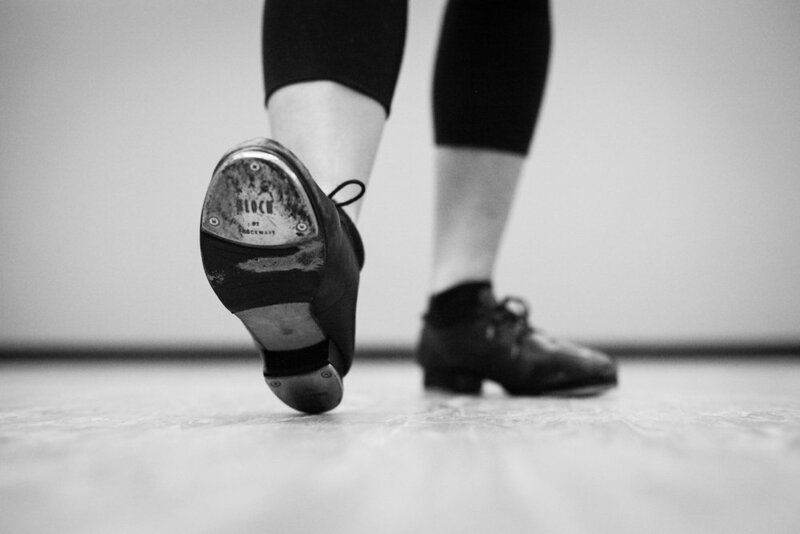 Tap dancing is characterized by a rhythmic touching of ones feet to the floor to create sound. This sound, often enhanced with metal plates attached to a tap dancers shoes, also makes tap dancers percussive musicians. Emerging through Vaudeville, American tap dancing created numerous stars from the 1930’s through the 1950’s. But even those far from the stardom of Broadway and television caught on to this cultural wave, as tap dancing’s accessibility allowed almost anyone to perform the dance almost anywhere. It’s focus on syncopation, improvisation, balance, and precision, continues to give its students important improvements in their overall dancing ability. These improvements, coupled with its prominence during the original Swing Era, have motivated many swing dancers to incorporate tap into their own dancing.